Invaders #4 is best summarized by two words - complex simplicity. This may seem like a paradoxical concept and yet it perfectly describes the artwork of Steve Pugh. Like a crafted gem, Pugh's work is multi-faceted and full of hidden details while still possessing a smooth, polished look. 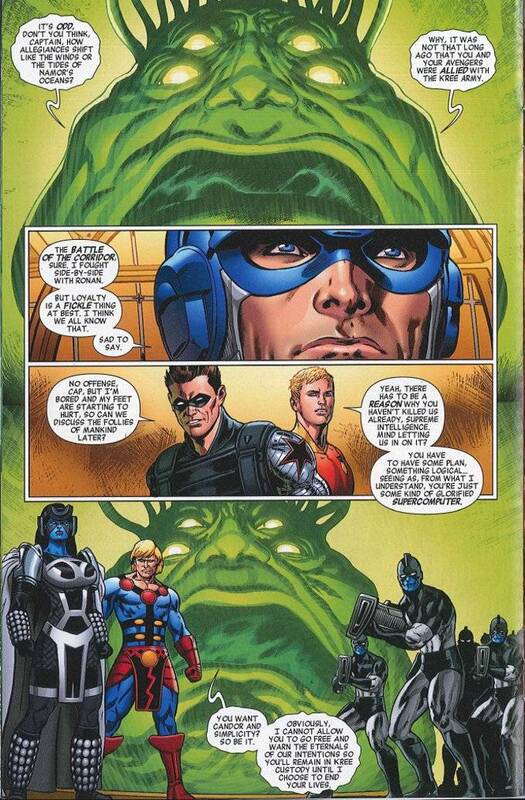 The script by James Robinson is similarly detailed while still seeming to be a straight forward tale of alien invaders (in this case, the Kree army) and the advanced technology that allows them to control gods. But there are several layers to the action and a few skillful misdirections. Indeed, I think Robinson may have even taken a subtle dig at his own propensity for long monologues and scenes of characters talking to one another about philosophy with Bucky's complaints about getting bored with the discussion of the sins of mankind. Bottom Line: Invaders may not be the most daring title of the Marvel NOW! line up but it doesn't have to be. 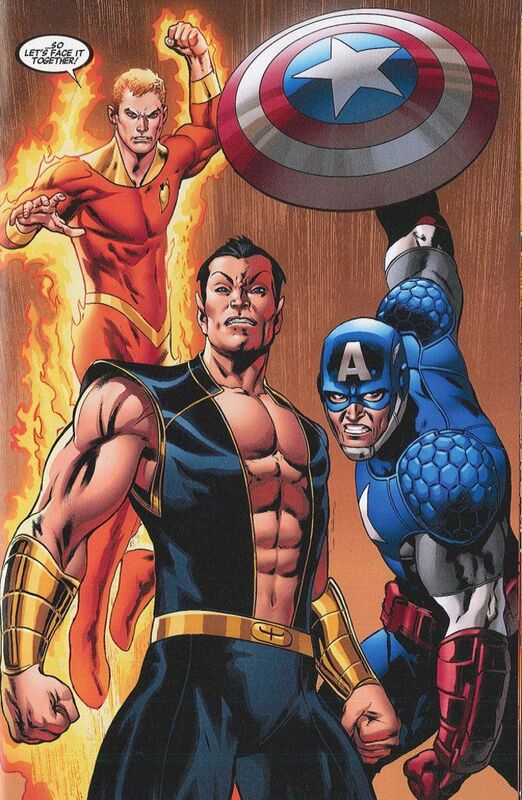 It remains what it is - a solid action series that also offers a look back at Marvel's long-neglected past.